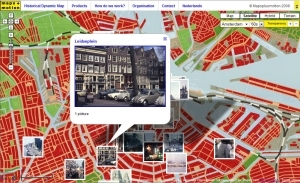 The Amsterdam Historical Museum has upgraded its Amsterdam “growth map” with a googlemaps-based version created by the Dutch multimedia firm Mapsplusmotion. 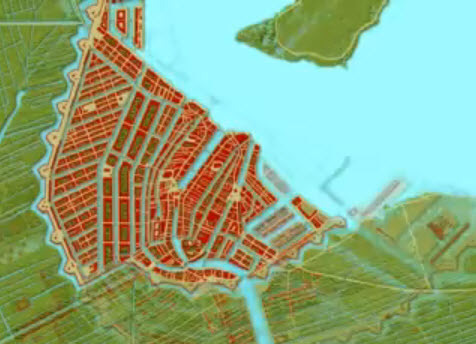 These developers have done similar maps for Rotterdam and Manhattan. A variation on these maps is a website with photos from the 1960s. It would be interesting to see a mashup with photos or drawings of buildings from the period, tied to the map. Update 3/9/2018: The Mapsplusmotion website inactive. The new website is: Mappinghistory.nl. New maps for WestFries and the Hague are now available.